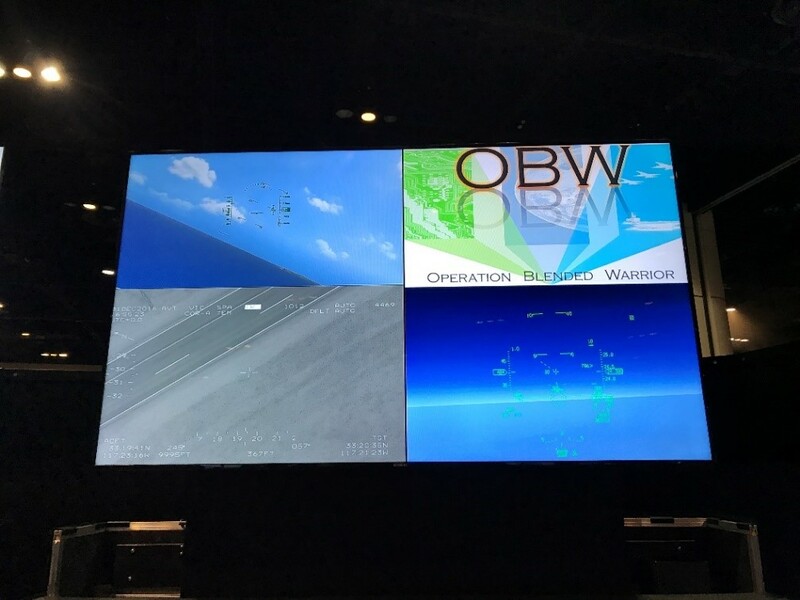 ImmersaView’s Video, Audio and Data for After-Action Review VADAAR brought Operation Blended Warrior to life by streaming video from 41 booths and long-haul links for display to the audience at the Interservice/Industry Training, Simulation and Education Conference (I/ITSEC) in Orlando, Florida. Operation Blended Warrior debuted in 2015. 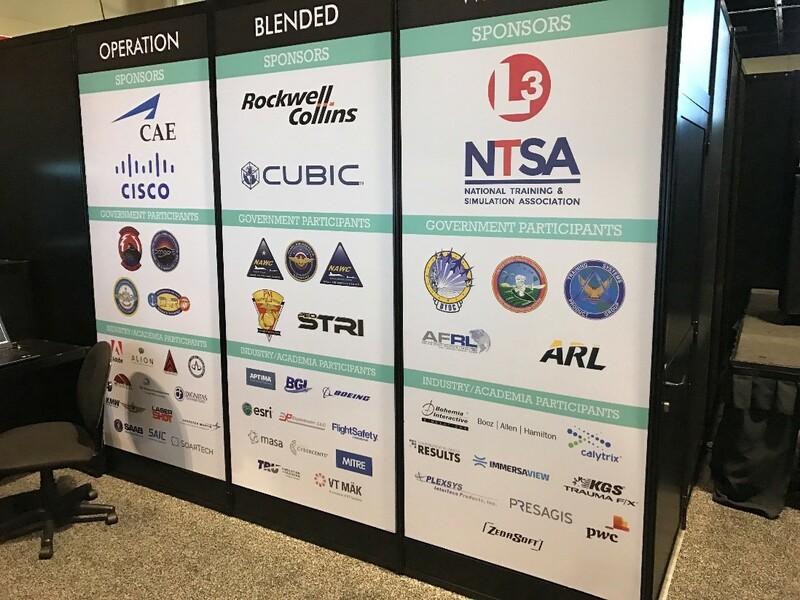 In 2016, the size of the special event at I/ITSEC grew to include 43 participating government and industry organizations. From within the Distributed Training Center (DTC), VADAAR enabled the audience to witness the full range of Live, Virtual, and Constructive (LVC) training. Source content ranged from live streams over long haul to real-time 3D graphics in 4K resolution. Live assets flew over Iowa and video feeds were transmitted over long haul and shown by VADAAR in the DTC. Virtual simulators from many booths streamed instrument panels, out the window visuals, and operator consoles. The humans in the loop were also visible in live camera feeds, showing operators working the controls. Blue force trackers, stealth views, and other displays were similarly shown. All of these were arranged in real-time for display through the VADAAR Viewer software. The VADAAR viewer allows for flexible configuration of the display, allowing any content to be shown anywhere. It is possible to label and zoom in on different parts of the display to provide focus and context. It is also possible to rotate sources, to support portrait oriented displays with minimum fuss.